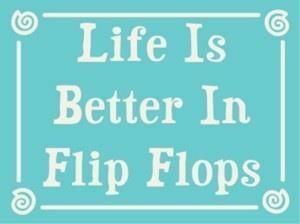 Happy National Flip Flop Day Everyone! 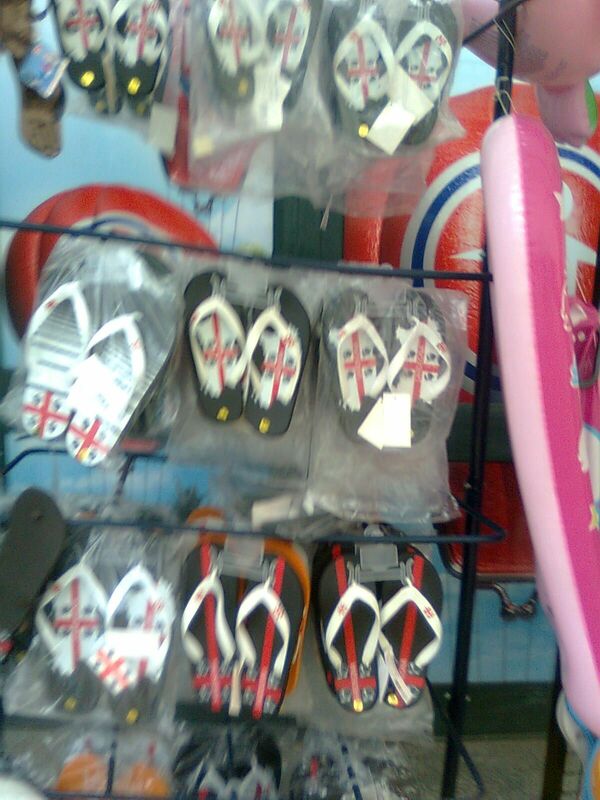 Re: Happy National Flip Flop Day Everyone! Compared to high heels, they don't look remotely hazardous. But flip-flop wearers would do well to think twice before slipping on a pair. The NHS spends £40million a year treating injuries caused by wearing the casual footwear. More than 200,000 people visit their GP or even end up in hospital every year after suffering falls or developing long-term problems. Once worn only at the beach, flip-flops have become the regular summer footwear of choice for many, with one in five women owning at least one pair. But experts are warning of the dangers of prolonged use, such as the risk of shin splints and joint pains. They say flip-flops force people to change the way they walk so that when taking a stride they put pressure on the outside of their foot, rather than their heel, causing long-term damage. And there is also the risk of serious injury from tripping over. Frequent complaints include twisted ankles, but some have broken their arms or wrists after falling because their flip-flops caught on uneven ground. Many also suffer aching toes as they constantly scrunch them up to grip the thong, while there is also the danger of the odd stubbed toe. Flip-flops are one of the most popular shoes among women, with 15million wearing them a day in summer, according to shoe firm MBT which obtained the figures. Mike O'Neill, spokesman for the Society of Chiropodists and Podiatrists, warned of the damage done by wearers forced to adapt how they walk. He said: 'They land on the outside and then roll the foot inwards putting all the pressure on the big toe. This constant rolling puts pressure on the ankle joint causing it to weaken. And if you're not used to wearing them, they can cause blisters, he added. Medics say flip-flops are just as bad for the feet as stilettoes but cause far more damage as they are worn for longer periods of time. She encouraged women to wear sensible shoes to help recover from summertime injuries. It was last year when I first heard about it. I spend too much time trying to keep my posts current and responding to anyone who comments or writes to me. I know they aren't good for long term use, Kelly. Don't know why your quote didn't show. Since being diagnosed with diabetes, I've only worn sandals two or three times this season. I can't find the matches for the two pair of flip flops I have. One pair is all black and one is red and black. I would only wear them to a late night run to CVS or something, not as a replacement to shoes. Stilettos would hurt my back too much! Can't even wear a slight wedge. I love flip flops, own many pairs Wonderful with linen trousers in the summer.